I am wondering if you would write an article explaining why St. Bellarmine would not be a Sedevacantist if he were alive today. I have been reading the translations by Ryan Grant of Bellarmine's work and find Bellarmine to be a firm believer in the teaching that a reigning Pope cannot be a heretic. If he were to be a heretic, then he would ipso facto lose the papacy. The theory of an empty chair seems only logical if the indefectibility of the Church is retained. I am looking for a good reason not to Sede and I honestly can't come up with one. I see Bellarmine, if alive today, to be either a Jimmy Akin on steroids or a Sedevacantist. I just don't see him having his Pope and "beating" him at the same time. Your thoughts and understanding would be greatly appreciated since you have had more experience with Bellarmine's work and/or have access to those who have even more insight and are not Sedevacantists. This issue of a reigning pontiff and heresy has been addressed, not here but elsewhere. The fact is, and has been since Jesus' day, that popes like apostles can hold heretical notions but at the end of the day we are assured that they will never teach a heresy formally. They can be downright nutty even. Just remember the command, love thy father even if he be senile. They can even commit (or believe to have committed) public acts of apostasy. The Church of Rome believed Pope Marcellinus committed public apostasy but never suggested he lost his office. You make some good points, which I would like to address. I translated Robert Bellarmine, and I translated him exactly as he wrote in the Latin without any nuance. The first thing to note is that Bellarmine calls it an opinion, because for him it was unimaginable. He calls the opinion that the Pope would ipso facto lose his office the true opinion, because he believed that this is what would happen. He is not teaching in a consensus that this does in fact happen. This is an important point, actually, as there are two principles in Classical Theology: 1) You cannot hold anything for certain without a teaching from the magisterium on the authority of one doctor 2) You cannot hold anything for certain where a true consensus of the Church Fathers or of the theologians can be shown. Suarez, in his rejection of Bellarmine's position, holds that while it is true that the Fathers taught heretics lose their office, they did not write on the Supreme Pontiff, and that they could not cover all cases of heresy is shown in that secret heretics are still held to hold their office in the opinion of all theologians (including Bellarmine) while the Fathers make no such distinction. Lastly, among the Theologians there is no consensus; you have Bellarmine's position, drawn from a few later scholastics and the Fathers, and you have many Jesuits who side with him; but you also have the Dominican tradition, which holds that the Church will maintain a heretical Pope in his office but the providence of God will not allow him to teach or bind the faithful to heresy. That Dominican tradition is consistent, all the way through Garrigou Lagrange in the 20th century. So there is no consensus that the Successor of St. Peter would lose the papal office for manifest heresy. One could not argue anything certain from what is postulated by Bellarmine and many others. Now, would Bellarmine be a sedevacantist today? I really don't know, because who can know what anyone in one time would think plucked out of their own time and presented to us today? I don't think anyone can discount the possibility just as I don't think anyone can say so for certain. Really, would Bellarmine think Pius XI was an anti-pope for formally renouncing the Church's papal patrimony, which he calls necessary for the Papal Office? Probably not, but he would be utterly shocked by such a thing. What would he think of Leo XIII's support of Catholics compromising with the 3rd republic, something unimaginable to men of his time? Or Pius X signing a concordat with the same government? Adjusting for history and events he might be pragmatic, or he might respond with horror like a man of his time. The point is we really don't know what anyone would think. What we can say, is that Bellarmine in chapters 8-14 of book IV of on the Roman Pontiff (which make up my excerpt "Papal Error") Bellarmine notes several Popes who held erroneous opinions, or admits of the possibility that various popes held erroneous opinions, but shows how they were not formal heretics, especially his treatment of the case of John XXIII. Lastly, there is the question of whether the post Vatican II Popes are actually heretics (know what the definitions really are and pertinaciously deny them), or whether they merely hold erroneous opinions. There are a lot of complications to parse out and I do not believe it is certain that they are heretics, let alone that they would in fact lose their offices. 1) There would be no ordinary jurisdiction in the Church today. All theologians who deal with the Notes (i.e. the 4 marks) hold that the mark of Apostolicity is constituted by the jurisdiction to offer the sacraments, or what Bellarmine and older theologians call the right to minister in Christ's Church. This comes from the Apostles and is distinguished from Orders as the formal succession, where as the latter is material succession. This is because schismatics can have orders, but they only pass on material succession, they do not have the right to rule and therefore do not have the mark of apostolicity. Now, if we accept the general sedevacantist position, then there has been no Pope since 1958. 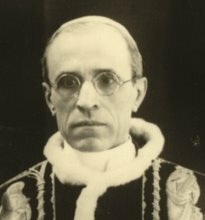 Practically, that means every Bishop constituted by Pius XII had formal succession, or the right to rule. 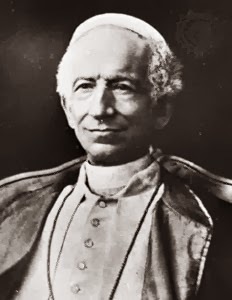 The last Bishop constituted by Pius XII died or resigned in the reign of John Paul II. This means that for at least 30 - 40 years, the Church has not had the mark of apostolicity, i.e. it is not the Church as defined by the Creed, for it would no longer have that connection to the Apostles. Even if we hold to supplied jurisdiction, that is not ordinary, but depends upon the ordinary. If there is no ordinary jurisdiction there is no jurisdiction to supply. This is the teaching of all canonists on Ecclesia supplet. Nor is it opposed to the fact that jurisdiction resides in the Church, for jurisdiction is an like an accident, it must adhere to a subject in order for it to come into effect, i.e. the Supreme Pontiff. This is why once the last Bishop appointed by Pius XII died, were the sedevacantist position true the consequent is also ordinary jurisdiction would also go. 2) All theologians who deal with the question on what would happen if the whole college of cardinals were to die, treat the question in regard to the ordinary bishops coming together in a council, or in plenary councils. None of them account for having no ordinary bishops, because divine providence would not allow it. 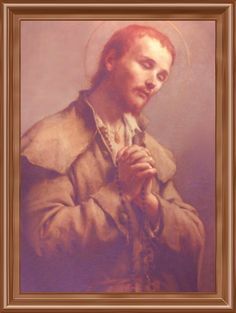 So, while I respect sedevacantists for their consistency as well as that many live good lives, on the other hand I cannot follow their position, and I would caution you to pray and try to resolve the above before accepting their position merely on the basis of Bellarmine or any other theologian short of a consensus, which does not exist on this point. Thank you for responding. I most certainly appreciate your input. I have approached this topic in the spirit of Bellarmine and realize the risk in doing so. I also appreciate your words of caution concerning me taking Bellarmine alone as a source of authority. I know we can’t know for certain what Bellarmine would do today, but it does seem to me that whatever position he would hold, it would not be the recognize and resist position, at least not of those who have no problem calling the Vicar of Christ a heretic. Correct me if I am wrong but didn’t Pope St. Agatho (p. 55, Papal Error?) declare the Apostolic Church never to have succumbed to the depravities of novel heretics and could not do so due to the promise of Christ to protect the faith of Peter and his successors? If this is the case, then are we merely dealing with an opinion of Bellarmine or the teaching of a Pope and the Church? Over the past 50 years or so, we have had many errors promulgated by the Universal Ordinary Magisterium (UOM). I don’t think you and I will disagree on this point. If the Church can’t defect and teach error to the faithful, then she can’t do so even with good intensions or by mistake, which rules out the argument that the Pope can teach material heresy to the Church but not be a formal heretic due to ignorance or evil intent. To me, the Pope can’t teach error to the universal Church because the Church can’t offer her children poison, and the Church can’t offer her children poison because the Pope would never promulgate it. The mystery one is placed in if he were to accept Sedevacantism is very disturbing but it seems to have been prophesied in Scripture. Cardinal Manning seemed to have no problem concluding that the true Church of Christ would be eclipsed by the Whore of Babylon and sent back into hiding. He also took the position that the Pope would be a victim and not a contributor to the eclipse. 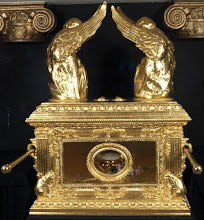 Do you think it is better to be caught in a mystery or in a contradiction, because I honestly don’t see how anyone can deny the fact that there are real contradictions in the Church’s teachings since Vatican II? 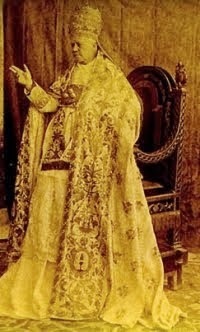 Another question I have is what is your position on a heretic pope? Do you hold the opinion that a pope can be a heretic or do you prefer the opinion that the Popes since Vatican II are not heretics but have and do teach material heresy? Thanks again for responding. I do value your input and also accept your counsel on accepting Sedevacantism before certain questions are sufficiently answered. I think Cardinal Manning was wrong if he thought that the visible Church could become invisible. And that is one of the main problems of Sedevacantism since they won't be able to tell you where to find the visible Church. I don't believe that the Church has taught error in its infallible universal Ordinary Magisterium. The authentic Ordinary Magisterium is not infallible (Vatican II being an example for authentic OM). As far as I know, if there are doubts about the infallibility of a certain teaching, it is not infallible Magisterium. But I hope Ryan will address this. Although I don't agree with John Salza on his claim that the canonizations of John Paul II and John XXIII were possibly invalid, I must say that at least to me, his arguments seem to totally demolish SVism. And please pray over this. Don't try to find a solution by just chosing what right now might seem most logical to you. Thank you for the responses. I do pray about this, maybe not enough, and maybe this is why I just have not been able to give my heart over to the Sedevacantist position. There are a few points I want to make here and maybe someone can help clarify some points for me. I will argue from the Sede position because I find this is most helpful to me and will better solicit an aggressive response. I address this to all and not just Konstantin. Here is one fundamental difference in opinion between Sedes and R&Rs. Sedes consider the Universal Ordinary Magisterium (UOM) to be infallible when a teaching is promulgated to the universal Church (only in space), teaches on faith or morals, and is authorized by the Pope. That is it. The R&R camp adds to this the criteria of the teaching being in conformity with previous Church teachings (antiquity). I have personally studied this for a good amount of time and have not found any support for the R&R position and it really offends common sense if infallibility is the inability to error. Obviously antiquity (Tradition) is needed as a litmus test to measure truth but not to deny the use of infallibility. It is simply to determine if the teacher or teaching is authentic and from the one true Church. Antiquity serves as the path of truth, not serve as an on/off switch for when the Holy Spirit decides to protect His Bride from error. I have read Fr. Chad Ripperger’s works on this topic and unfortunately he makes the bulk of his argument using post-conciliar texts and teachings. His position seems to force one to accept the authority of the post-Vatican II era concerning the UOM in order to prove that Vatican II was not infallible and binding because it does not conform to Tradition. He does point out that the matter in priestly ordination was changed or “corrected” by Pope Pius XII and I honestly don’t see the connection. The Church does have the power to change certain things including the matter and form of a Sacrament unless it was dogmatically given to us in Scripture. 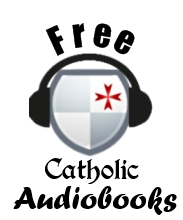 If you know of any pre-Vatican II teaching that makes the R&R case, then I would appreciate it if you would share it with me. The bottom line is this. 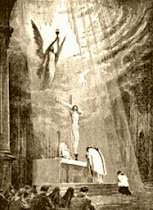 If the Church, the pillar and foundation of truth, can lead souls astray by teaching error in faith and morals, and be a stumbling block to her very own children, then we may as well scrap Catholicism as a whole (I do not advocate this position) or defend our Holy Mother from the ravenous wolves without and within. Both the Sedes and the R&R take on the task of defending Holy Mother Church rather than abandoning her but they do so in very different ways which pins them against each other. For me though, it seems that in order for the R&R to defend the Church, they have to admit that she has made errors when teaching the faith to the entire universal Church. It seems that in order to protect the spotless Bride of Christ, they have to smack her over the head first. I do see the invisibility of the Church being an issue but I also don’t see it as being impossible and not part of the divine providence of God. Just as Christ died, was unseen for three days and then rose in Glory, I don’t see how anyone can rule this out for the Church. I have read the links you sent and have Salza's new book on order. I do plan on reading it when it arrives. I follow Louie V. and read all his posts. I would like to point out a book to you that may be of interest. It was written by John Daly and refutes many of Michael Davies arguments. Regardless of what one thinks of Davies or what Daly thinks of Davies, the arguments put forward by Daly are extremely convincing and he backs them up very thoroughly. I am sure some will disagree and I hope this is not dismissed simply out of an emotional reaction. I think all arguments need to be presented and judged to be right or wrong. Michael, I'm about to leave for Mass and won't have time to write a very elaborate comment. The first Sedevacantist I read about was a French priest (I forgot his name) who declared himself Pope in 1963. He was the founder of the "Church of the Magnificat" although I think his succesor didn't acknowledge him. Then came Francis Schuckardt in the late 1960's. He received his orders from an Old Catholic bishop. Then came Fr. Saenz y Arriaga around 1972. What I'm saying is it that it took at least 14 years since the death of Pius XII for a reputable theologian to step up and say there is no pope. Sorry, but that alone would suffice as massive proof against SVism since you can hardly uphold the dogma of indefectability and visibility that way. Right...if it was so manifest that John XXIII or Paul VI were heretics...if their heresy was so evident, why did it take 14 years after the death of Pius XII for someone to first seriously propose the theory? In Bellarmine's Marks of the Church, Long Duration, he speaks of the Church always being visible. With this, I find it hard to believe he would have been a Sede if alive today. Thank you again for your response. You are right in as much as we seem to be caught in the Scylla and Charybdis of contradictions. By no means is it easy. What I have found since I started doing serious theological work is that we laity are caught by necessity doing the work that far wiser and better trained individuals did a century ago. One of the things I have found, and need to research far more, is a distinction theologians made between the Universal ordinary Magisterium, and the ordinary magisterium, which at first seems like splitting hairs, but at the same time it is talked about in the Acta discussions of Vatican I which I have been researching in. There, they seem to make a distinction between when the ordinary magisterium is infallible, and when it is not. As far as I've been able to work out, when the ordinary magisterium teaches in union with the tradition, or confirms a consensus of the Fathers or Theologians, it is infallible, but when it promulgates an opinion or something that at least appears novel, it is not, which is why Vatican I only mentions the solemn magisterium and the universal ordinary magisterium, because these alone concern infallibility. But it begs the question, is there an ordinary magisterium that is not infallible? The confusion comes in with the authorities on what to do on that point. 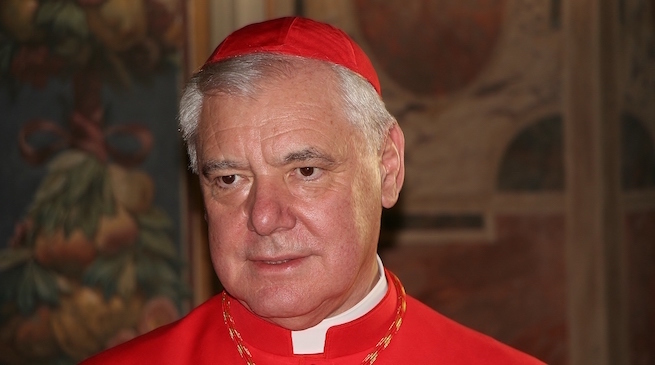 Cardinal Franzelin, in his work on Divine Tradition (which I have translated and it should be out next year) argues that the faithful need to give the assent of the intellect and will to the teachings of the magisterium as the ecclesia discens (the learning Church), and he doesn't take into account that the magisterium might teach something erroneous. On the other hand, I believe it was Monsignor Fenton who said that if the ordinary magisterium teaches something that appears wrong, but doesn't not command the faithful to accept it, then they can suspend judgment until Divine Providence works it out. As far as R&R, Bellarmine seems to give approbation to this when he says in the beginning of book II, chapter 30, that while he does not believe Pope Honorius was a heretic, that the VI Council could condemn him at all shows that the only legitimate resistance that inferiors can give to superiors is in the case of heresy. On the other hand, he doesn't seem to think such could happen and treats in De Ecclesia that the faithful should be obedient to the teachings of the magisterium, so it is complicated. He never draws out when the faithful should resist, to which we can add that in his day that would be impossible since only a tiny fraction of a percent of laymen would have the knowledge and learning to even detect heresy. 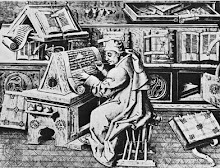 Therein lies part of the problem in the tradition, a papacy that runs like a 24 hour news cycle, with documents available immediately on little devices in translation was unimaginable, let alone a situation of 90% literacy in western countries, was beyond anything they could conceive of. So when the older theologians write they cannot conceive even of the psychological situation of the laity today. Still, for all that, I am not sure I would subscribe to the R&R position, in as much as that means do what the SSPX do. I taught at an SSPX school for many years and in general accept many of their critiques and I liked a lot of their priests, but the problem of jurisdiction still comes into play. If the Pope is the Pope, he has the authority to disband "x" clerical fraternity, no matter how just their claims are. If the Pope is the Pope, then you are not just resisting, but rebelling when you set up chapels and offer confessions with no jurisdiction. I'm generally supportive of the SSPX, but I can't see theologically how they work out their position, except that they are the beneficiaries of ecumenism, which they roundly condemn. If R&R means we uphold the tradition and resist novelties I'm all for it, and it seems Bellarmine would be too. If it means setting up chapels outside the authority of the Bishop with no permission from the Pope, I have a hard time seeing Bellarmine supporting that. But we are back to whether there is a distinction between the Ordinary Magisterium and the Ordinary Universal Magisterium, which I am still researching and not too certain of. That is really the matter in whether the magisterium can teach something that could turn out to be erroneous if they don't bind anyone to it and it is unsupported in the tradition. There are so many questions and avenues (not to mention rabbit holes) that require principles and study that I don't know where to go, being a renaissance historian that knows Latin. That is why I mostly go to the Ruthenian rite, and sometimes FSSP, I think the sedevacantist position leads to a point of no return where the Church herself becomes invisible, while the SSPX position is ultimately untenable by traditional ecclesiology, even if they benefit from Rome saying yes you can go to them via some ecumenical effort on their part. As far as "can" the Pope become a heretic, I tend to lean toward the Dominican position based on what the Jesuit Suarez says which you can read here, albeit that is an ad hoc translation and needs some refinement in a few places. "From there, the foundation of the contrary opinion comes to ruin; just as faith is not a necessary foundation to the power of order, which is more outstanding in its mode, so neither for jurisdiction. Furthermore, no author, I believe, will say to this with a shadow of probability, that the papal dignity is lost through interior heresy alone, although it would be certain that he lost faith. Nor are testimonies adduced to the matter, because the discussion is not on the foundation of ecclesiastical jurisdiction and dignity, but on the primary foundation of the whole Church and justification, and of all spiritual goods, which is Christ and his faith. Moreover, it is not a probable argument taken up form the deed of Christ with Peter; one could say other things in the same manner, e.g. charity is the foundation of the pontifical dignity, because Christ also asked Peter whether he loved him; therefore, as we said above (section 4, num. 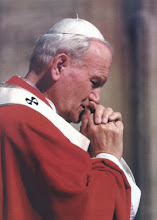 4,) Christ only wished to show what was necessary in a Pontiff, that he could fittingly exercise his office; and in almost the same mode the Fathers speak, who besides would have it that a heretic is deprived of all dignity and jurisdiction; sometimes they also treat on deprived bishops, supposing ecclesiastical law, on which we will speak further down. To the third confirmation it is responded in one word, that a heretical Pope is not a member of the Church, in regard to substance and form whereby they are constituted members of the Church, still he can be the head in regard to office and influence. This should not be marveled at, because God does not influence the first and special head by his virtue, but just as instrumentally and the vicar of the first head [Christ], because he is capable of giving spiritual influence to the members, just as through the bronze head; for a proportional reason sometimes he baptizes through heretics, sometimes he even absolves through them, as it was said." Ultimately I'm not committed per se to either position, but I don't see anything certain to make a judgment one way or the other, so by default, must accept Francis as Pope, even if it is as painful as for Catholic humanists that had to accept Alexander VI, unless or until the Church determines otherwise. I hope that helps. Thank you again. I have read the link you posted about Suarez but would like to read it at least one more time. I appreciate you taking the time to address my questions and will take this offline now.